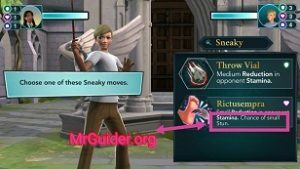 Check out our Harry Potter Hogwarts Mystery cheats, tips, and walkthrough guide to progress fast with full energy. Harry Potter Hogwarts Mystery, a brand new mobile game by Jam City is now available worldwide. 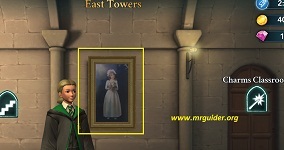 In the game, you play as a student at Hogwarts university and uncover the mysteries related to your brother. Harry Potter Hogwarts Mystery, the story-driven game was in beta since last year and it has been out officially in mobile stores. And the most common problem you will face in this game is “energy”. The game uses the energy system; energy points are required to complete the quest tasks. And these points are limited, re-generates after every few minutes. No energy points = No gameplay! And you can not leave an ongoing task without completing it. However, in short-term quests, you will not face this problem. In this post, we have covered everything about the game you need to know; Harry Potter Hogwarts Mystery cheats, tips, hints, and walkthrough guide to play like a pro! 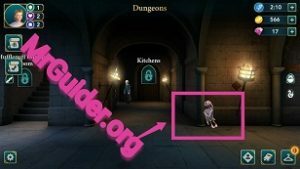 The game starts with a tutorial in which you learn about the basic of the game; how to play Harry Potter Hogwarts Mystery game, about casting spells, quests task, interacting, and much more. After the tutorial, you can manually play the game as you want. The Basic; All you need to do is complete the quest tasks; these tasks include lecture attending, learn spells, flying, and much more. After you complete the quest, you have to choose a specific reward; energy, coin, or diamonds. As stated above, energy is important, limited, you will face many problems due to this energy system. Energy re-generates after every few minutes! But still, there are hidden sources to obtain energy points. Currently, I know six ways to obtain free energy points, mentioned below in Hogwarts Mystery cheats part. After the tutorial ends, you will find yourself in dungeons. Tap on the quest icon, just below the avatar and then tap on the go option to start the quest. To interact with professors, students, tap on the (i) icon. 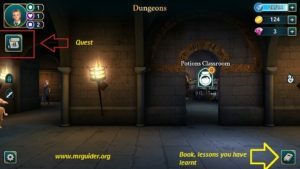 In the quests; usually, you attend lectures(just tap on the glowing objects, professor or students), learn new spells or about potions, casting, and many more things. You will meet new students as you progress, some students are of devil nature while some are of friendly. You just tap on one of these locations to teleport there. At the beginning of the game, most of the locations are locked. You need to level-up in order to unlock new buildings or explore new locations. 4.) How to unlock new rooms? Level-up the character, progress to next year, and unlock new rooms and explore more places. I received four energy points by tapping on the painting(at the east tower, near charm class). 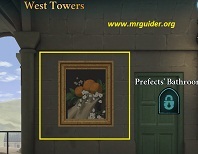 Go to the west towers, near the bathroom, there is a painting. Tap on it and get free energy. At dungeon, there was a unique creature; I did not see it clearly, it runs away when I tapped on it. If you see any strange creature in the game, tap on it. On the ground, look for a wand. Tap on it and get the free energy points. [Tap on the staircase icon -> castle grounds -> swipe left]. Tap on the staircase icon -> go to the lower floor – west. 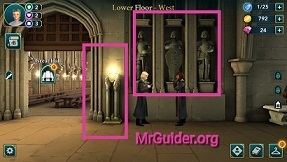 Near the great hall, there are three knights, tap on them to get free energy points. And the just left side of these three knights, tap on the flame part(as shown in the picture above). This will give you another energy sphere. The stack of books on the bench. Update: Source 7.) – Now, at East Tower, tap on the laughing ghost to get free energy points. It’s a new source to get free energy in Hogwarts Mystery game. If you have unlocked Hogsmeade location in Harry Potter Hogwarts Mystery game, then from there you can get free energy points. All you need to do is go there, swipe left; between Broomsticks and Honeydukes, there is a street and tap on the stranger waving at you to claim free energy. Credits; Ruru, Nicole K, and all those who sent us Harry Potter Hogwarts Mystery tips, cheats & hidden sources of energy. If you know any other source to get free energy in Hogwarts Mystery game, then please submit here. Update -> Make sure to read duel guide, tips, cheats & strategy mentioned below. And at the end of this post, I have also linked the Q&A Spreadsheet, follow it and get all the questions and answers[Best choices, Best Answers, All Chapters]; Harry Potter Hogwarts Mystery. You can use Google Spreadsheet app || if you already know about Google Spreadsheet, then you can easily access it. You can use these sources to get free energy points, but once in a day[Update; available after every 6 hours]. On the next day, go to these locations again and claim free energy points. Grab the free energy in Hogwarts Mystery after every this certain amount of time. 6.) 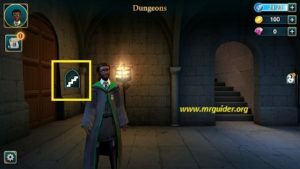 Reset or restart – Harry Potter Hogwarts Mystery game? Special Thanks; Jay. If you know any other reset method, please submit here. Because sometimes you need to make a choice by giving your opinion; you could get attributes points by presenting a perfect opinion. Sometimes professor asks you questions and if you don’t answer it correctly, you could lose the house points. So, it would be better to read all the dialogues or attend the lecture like you are attending in reality. As you know, you need the energy to complete the quests or to earn stars. And energy is limited. Before you start the quest, check the duration of the quest(if it’s long, then it means you need lots of energy points) and then, check the energy points you have. Don’t start the quest if your energy points are low. Go, explore or attend classes to earn energy points. Start the quest when the energy bar is full. Before you start the quest or a class, you can select the duration; 8 hours, 1 hour, 3 hours. I would recommend you to choose 8-hour duration because you will get more rewards and there will be no energy problem(even if you start with 0 energy]. If not, then choose the 3-hours duration and start with at least 20 energy. But I strongly recommend you to choose the 8-hour session, you could earn 10 house points(house points are needed to win the house cup in Harry Potter Hogwarts Mystery game). 8.) How to earn gems. Gem is one of the precious items in Harry Potter Hogwarts Mystery game. You can use gems to get energy or in the quests. How to earn gems? 9.) How to earn coins? 10.) How to change the name of your character? On the main screen -> tap on the avatar -> then at the top-right corner -> tap on the pencil icon -> enter the name and confirm. 11.) How to customize the character? You can change the dress of the character, customize the face hair color, and equip accessories in Harry Potter Hogwarts Mystery game. On the screen -> at the top-left -> tap on the avatar icon -> then, at the bottom-left -> tap on the outfit/hanger icon -> choose the customization option; face, hair color, dress/outfits, accessories. Don’t waste your coins and gems in buying outfits or accessories. 12.) How to earn house points? You can not change your house! The house with most points at the end of each year wins the house cup[100 Gems]. To check your rank -> tap on the avatar -> rank. 13.) How to progress to next year? Complete all the chapters to progress to next year(from year 1 to year 2, then year 2 to year 3, and so on). 14.) How to save progress? To save the progress, you need to link the game to your Facebook Account. At the bottom -left, tap on the gear icon -> account info -> link and confirm. 15.) How to play on a new device, restore the saved data? If you have linked the game to your Facebook account, you can load the saved progress by re-connecting it. Go to the settings -> tap on the account info option -> then link. By completing the interactions such as playing Gobstones in the Courtyard and eating meals in the Great Hall, the level of friendship gets strengthen. Raise the friendship level to earn precious rewards such as gems. And this is not a manual activity; you get quests; like report to Rowan, Ben. Usually, you have to pay coins to start this type of quests and in return, you get the precious reward; gems/diamonds for free. If you complete these quests in fewer moves; by choosing the best choice, you get more rewards. And when you reached the maximum level in Friendship, you get a special reward. For example – Glasses(Rowan). Belt and Shirt(Penny). Icy Robe(Ben). And many more rewards; necklace, hairstyle, sweater. Potions? For instance, using Wiggerweld Potion, you can heal or recover the HP points while dueling. Another example; If the opponent hurts you by casting a spell using the wand, you will lose health points. At that moment, use the healing potion to restore stamina. The player who losses all the points/stamina first will lose the match. 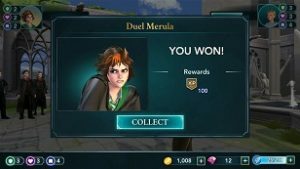 Your objective in dueling is defeating the opponent and you can defeat the opponent easily by reading our Harry Potter Hogwarts Mystery cheats and tips below. Charms? You can say it “skill”. Use it to reduce the HP of the opponent or to stun. As you progress in Hogwarts Mystery game, you learn about new potions and charms. Attend potion class to learn about new potions and attend charm class to learn about new charms. Become the master! Duel mode is one of the best parts of Harry Potter Hogwarts Mystery game. And it could be better if one can play against friends or other players in real-time. However, the quests are limited and it’s a story-driven game! Each stance has a unique list of options to choose from. And you can not figure out what your opponent is going to choose. For instance, you choose sneaky and your opponent chooses defensive, then you will win. If you choose defensive and the opponent chooses aggressive, then you will win. And at last, if you choose the aggressive stance and the opponent chooses sneaky, then you will win. And Vice Versa. Defensive Stance – Taunting, use potions or supportive spells. If your HP is low, then use the healing option. 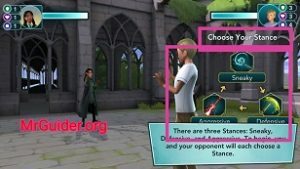 Harry Potter Hogwarts Mystery Cheats, Tips – Play Duel Like A Pro! Stun your opponent – Check the actions you can perform and choose that, which can stun your opponent. [If available]. If you stun the opponent, the opponent would not be able to choose an action. It means, on the next turn, if opponent’s stance beat your choice, he/she will not get the advantage. Stunning your opponent is a great defensive tool during a duel. In the duel, the player who losses all the stamina(energy or HP) first will lose. If your stamina has decreased due to an attack by the opponent, you can restore it by choosing a defensive stance and then choose the healing action. Another tip – Increase your attribute points to strengthen your duel performance. Read the attribute guide above. And at last, if both are low on health, choose sneaky. 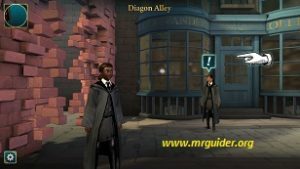 And finally, Harry Potter Hogwarts Mystery Walkthrough; all answers to questions; choices’ best answers; download the spreadsheet here. 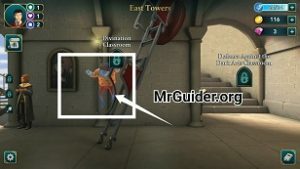 So, these are some Harry Potter Hogwarts Mystery cheats, tips, and a guide on the duel for the beginners.